›Posterazzi MOV197540 Violent is the Word for Curly Movie Poster - 11 x 17 in. 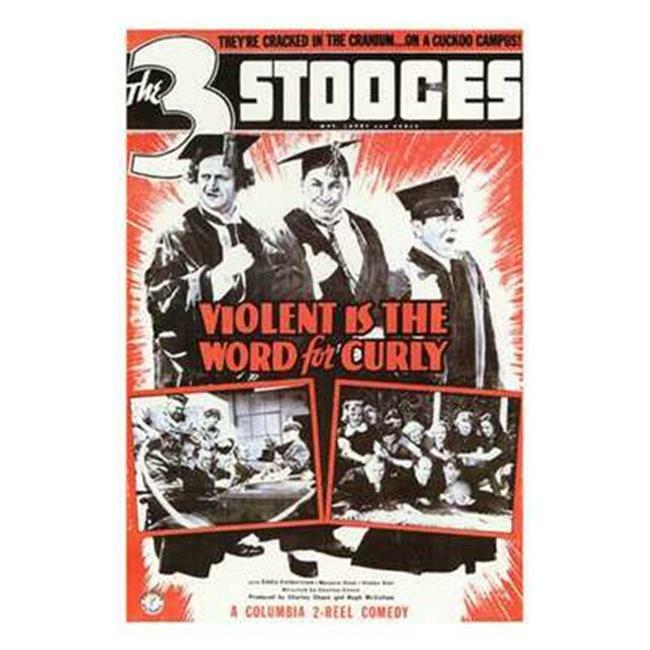 Posterazzi MOV197540 Violent is the Word for Curly Movie Poster - 11 x 17 in. Violent is the Word for Curly Movie Poster (11 x 17) is a licensed reproduction that was printed on Premium Heavy Stock Paper which captures all of the vivid colors and details of the original. The overall paper size is approximately 11.00 x 17.00 inches and the image size is approximately 11.00 x 17.00 inches. Go old school and hang this print dorm room style with poster putty or frame it to create a classic presentation ! Wonderful print for any apartment or home.